Wayne has been with Lincoln Property Company since February of 1998. As Vice President of Property Management, he is responsible for the operations and construction of a portfolio that totals over 6 million square feet. Wayne has over 15 years of commercial real estate management experience. 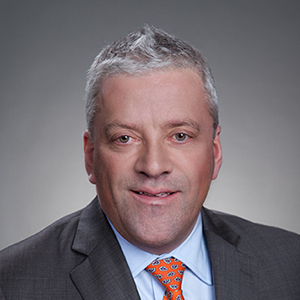 Prior to joining Lincoln, Wayne held financial controller positions at The Flatley Company and Compass Management & Leasing where he was responsible for property and regional controller functions. Wayne has overseen 15 properties totaling 15,000,000 SF of enclosed and strip malls in the Greater Boston area. Property anchors included Stop & Shop, Shaw’s, and other large grocer and department stores. He has also assisted senior management with acquisitions and dispositions including financial and due diligence analysis. Wayne oversees annual budgeting process, financial reporting and reconciliations as well as coordinated tenant CAM and sales audits. He also manages common area and exterior renovation projects that result in significant increase in sales activity. Past LPC responsibilities include management of large mixed use and condo and merchant associations. Wayne graduated from the University of Maine with a BS in Accounting. Wayne also has received a Diploma in Real Estate Studies from Boston University and is a member of BOMA.